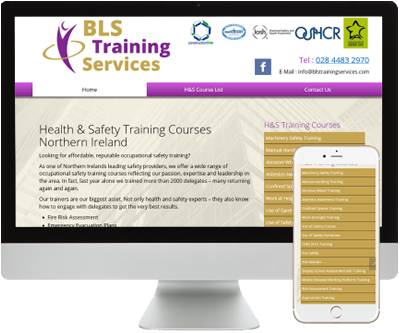 BLS Training Services provide a massive range of Health and Safety courses for business and industry across Northern Ireland. This site highlights the course content of each of the different seminars and provides information on what candidates can expect. The site is fully mobile friendly so will work well on all devices. Visit the site today at www.blstrainingservices.com.